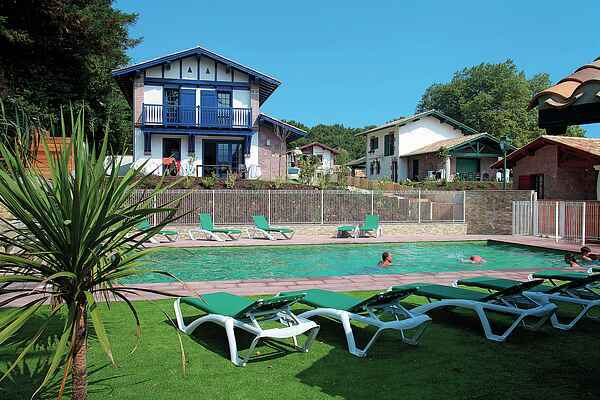 The ambient Domaine de Lana, built in Basque-style, is the home base of this wonderful villa. With a view of the sea only three kilometres away, this park is a paradise. There are various houses in the park, some of which have an upper floor and balcony. All houses have a garage or carport. The FR-64122-01 type (8 people) is a lovely villa with a large living room with sliding doors to the patio. The garden has comfortable garden furniture for ultimate relaxation.